What Are Pre Workout Supplements & What Do They Do? What is a Pre Workout Supplement and What Are the Benefits? Imagine a wet and cold winter’s morning. It’s 5:30am and you need to be at work in just a few hours. The rain is pouring down and you’re struggling to get out of bed – let alone lift heavy weights or go for a jog. Not only that, but your legs feel like they’re made from lead and your brain is still foggy from a bad night’s sleep. What’s the Definition of a Pre-Workout Supplement? It’s fair to say even the most motivated fitness enthusiast would struggle to get to the gym right now. And even if you force yourself to go, it’ll be hard to train with maximum intensity. Before you know it, you’ll probably be wasting time on Reddit or watching funny YouTube videos between sets. This is the problem that preworkout supplements are designed to solve. These powders don’t look like much. But gulp down a glass 30-minutes before your workout, and before long you’ll feel the energy, focus, strength and motivation coursing through your veins. You’ll feel fresh and ready to pump out more reps – who cares about the weather? There’s no doubt that a high-quality pre workout can make a big difference to your workout. The best supplements contain an intoxicating blend of stimulants and other ingredients that can quickly turn a sluggish morning into a high-intensity workout. Not only that, but they can aid recovery and help you reach your goals faster. With that in mind, why are pre-workouts such a controversial supplement? And how do you know whether you should use one? Most importantly, what is pre workout? What’s the Definition of a Preworkout Supplement? The definition of a pre workout varies depending on who you ask. In our opinion, a “pre-workout supplement” is anything you take before a workout that’s claimed to increase performance. In other words, a preworkout should help you reach your goals faster and more consistently. Whether you want to run a personal best, lift more weight or build a stronger physique, a pre-workout can help. This brings us to the next point though – every pre workout is different. The right mix for a bodybuilder probably isn’t the same as for a long-distance runner. Similarly, women may want a pre-workout with different ingredients to men. The key is to choose a pre-workout with the right blend of safe and effective ingredients. There are also two main types of pre-workout. Most pre-workouts contain stimulants, but those that don't are labelled "no-stim." The majority of people will benefit more from taking stimulants before working out, but there are still some excellent no-stim options. It sounds obvious, but the effects of a pre-workout depend on the ingredients and dosages. In general, ingredients can be divided into two categories: stimulatory and non-stimulatory. Stimulants, such as caffeine, give you a fast boost in energy and focus. Non-stimulants help other areas such as lean muscle formation, muscle protection and pump. The key to buying a high-quality pre workout is to get one with the right ingredients for your goals in the right quantities. Unfortunately, most pre-workouts don’t come close to an effective blend. Low-quality brands churn out new supplements with attractive marketing…but very little substance. Active ingredients are under dosed. Fillers make up more than 50% of the product. Unnecessary colorings, additives and sweeteners are added just to give the appearance of quality. No wonder people are skeptical about pre-workouts! Fortunately, not all pre workouts are ruined by these issues. There are some excellent products on the market that can help you reach your goals faster. The best options also don’t hide behind proprietary mixes. Caffeine. All pre-workouts (aside from non-stim products) include caffeine. This is because it has many proven benefits, including enhancing anaerobic performance, increasing strength and speeding up your metabolism. It might not sound exotic or cutting edge, but caffeine is one of the best pre-training supplements. L-Theanine. Caffeine on its own can have a big effect on your gym session, but adding L-Theanine (in the correct dose and ratio) supercharges the effects. Not only can Theanine improve memory, focus and mood, but it can also increase blood flow and smooth out the effects of caffeine. L-Citrulline. Aside from caffeine, one of the most important ingredients in preworkout supplements is citrulline. It stimulates the production of nitric oxide, which provides a host of benefits. These include faster muscle recovery and less soreness, enhanced performance and greater endurance. The best pre-workouts contain at least 6000mg of citrulline, as this is the clinically tested dose. Betaine. This is a substance derived from beets, and has been shown to enhance strength and endurance. If over supplemented, however, it can cause a fishy odor on the breath. Agmatine. Taking this substance may have a number of advantages, including increasing nitric oxide production and improving cognition. It’s not as well researched as other ingredients on this list, but is likely to have some benefit for weight lifting. Beta-Alanine. This is an amino acid that can reduce fatigue and allow you to workout for longer. It can also increase lean muscle mass. It’s safe – although it can sometimes cause an unpleasant tingling in the skin and lips. Tyrosine. Another amino acid found in some pre-workouts is L-Tyrosine. It’s associated with the production of dopamine, and can improve your mood and reduce stress. Tyrosine is useful for long workouts where you need extra motivation to make it through. It’s not an essential ingredient if your workouts tend to be short though. Branched-Chain Amino Acids. Another common ingredient is branched-chain amino acids (BCAAs). While the effects of BCAAS are likely overstated – at least for people that don’t train for hours each day – they are harmless and may prevent muscle damage while increasing muscle growth. Supplementing BCAAs may also reduce fatigue. We don’t consider BCAAs an essential ingredient, as you probably don’t need them if you’re already consuming a high protein diet. They are still useful to have though. Creatine. As you probably know, creatine is a vital part of any body building stack, due to its ability to speed up muscle formation. In particular, it helps your body produce ATP while also enhancing performance. Many people take creatine separately, but a lot of pre-workouts include it too. We don’t consider creatine an essential ingredient in a pre-workout – but you should certainly be taking it. Along with these core ingredients, pre workout supplements may contain various others. Some ingredients have clinically proven effects, while others don’t do anything at all. Synephrine, for example, is proven to stimulate fat loss – so it’s a great choice for pre-workouts that are designed for cutting. B Vitamins are also included in many pre-workouts, but unless you have a poor-quality diet they probably don’t have a direct impact on your performance. Aside from ingredients that really don’t have much of an effect, there are also ones that are downright dangerous. BMAA, for example, was included in the popular Jack3d pre workout supplement – until it was linked to strokes, heart attacks and other scary problems. It’s now banned in the US. Some supplements are also known to include amphetamine precursors such as BMPEA, which is a doping agent and can potentially cause heart issues. While these are extreme examples, don’t take risks. Always choose pre-workouts that are safe to use for extended periods. Do you ever have those days in the gym where you feel energized and ready to power through your session? These “in the zone” sessions often fly by, as you pump out set after set with barely a break. You’re focused and able to train at high-intensity, so you get much more out of your workout. Ultimately, these workouts are the ones that really push you forward towards your goals. The problem is that they are unpredictable. Unless you carefully manage every aspect of your diet, sleep patterns and numerous other factors, you’re just as likely to feel sluggish as you are highly charged. That’s why pre workouts are becoming so popular. The main benefit of a high-quality pre-workout supplement is getting these “in the zone” sessions more often. Even when your workout isn’t quite perfect, a pre-workout increases your strength, endurance, recovery and focus. That means a better session and more progress towards your goals. Pre workout supplements are also convenient. You just need to mix the recommended amount of powder in water and drink it around 20-30 minutes before you work out. This is far easier than trying to mix your own pre-workouts using individual ingredients. There aren’t many disadvantages to taking a high-quality pre-workout if you want to improve performance. The best products can provide a noticeable boost without any nasty side effects – even if they aren’t the magic pill marketers want you to think they are. The key phrase is “high-quality” though. Low-quality pre-workouts are often just some mild stimulants combined with filler. They won’t do any harm, but they have no pros either. Plus they are often just as expensive. There’s also an issue with over-stimulation. Many pre-workouts contain plenty of stimulants in high doses. These provide a fast “rush” and can certainly help your performance, but they lack the extra benefits of products with other ingredients, such as citrulline and betaine. They can also affect your sleep and cause jitters. You should avoid pre-workouts with dangerous ingredients. Stay far away from any supplements with BMAA that might still be floating around, as the risk far outweighs the reward. Hopefully we've answered the question "what is pre workout?" by this stage. But now you know what a pre workout supplement is and the potential downsides, it’s important to understand how to pick the right product. The first thing to look for is a solid list of ingredients with clinically-backed doses. Many people, for example, know that L-Citrulline is great for pump. This is why it’s included in most pre-workouts. What most people don’t know is the most effective dose per serving of Citrulline. At the moment, it seems 6000mg is the sweet spot. Despite this dose being widely known, many pre-workouts included considerably less per serving. The same can be said for almost any ingredient. To put it simply, if a pre-workout is under dosed, you won’t get the full benefit – but you’ll probably still be paying full price. The dose really does make all the difference. 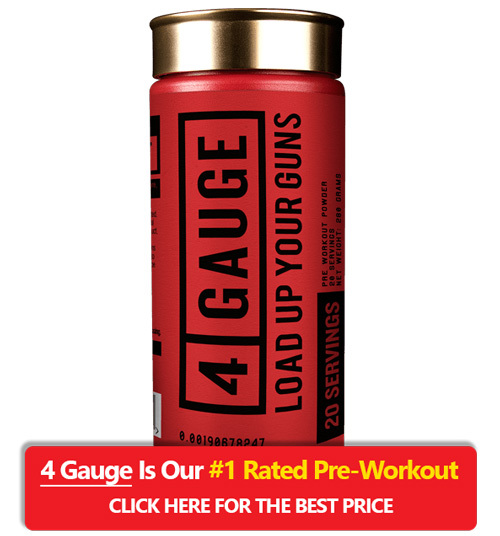 When buying a pre workout, it’s important to compare the price per serving. This can vary from as little as $0.40 up to $2.00+ for the most expensive products. Don’t be tricked into thinking pricier pre-workouts are always better though. You can get some excellent pre-workouts without going above $1-$1.50 per serving. On a side note, it’s probably best to avoid pre-workouts that are packed with artificial sweeteners and colorings. 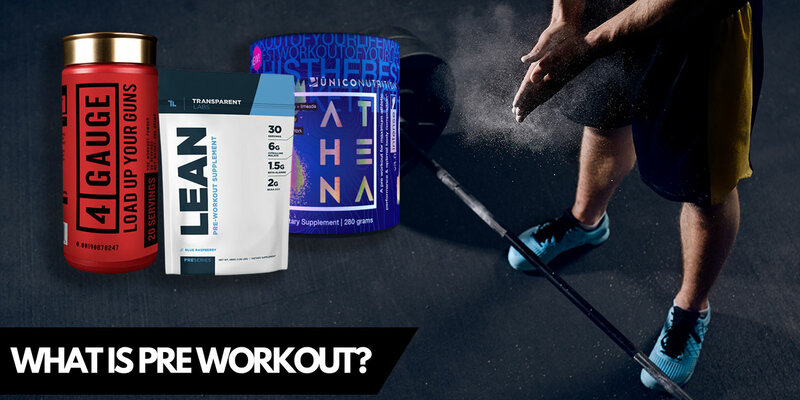 The jury is still out on how harmful these substances are, but there are some excellent pre-workouts that are 100% natural – so why take the risk?. As a general rule, the more ingredients a pre-workout includes the smaller the dose of each. Many brands try to cover up under dosing the expensive ingredients by bulking the product with cheaper ones. The result is an unbalanced and ineffective pre-workout supplement. It’s much better to have a few ingredients with clinically proven doses, than lots of ingredients with doses that are too small to have an effect. There are exceptions. But if you want a long ingredient list with high doses, you’ll need to pay premium prices. One of the biggest scams in the pre-workout industry is “proprietary blends.” This is when supplement companies lump ingredients under a single label, so you don’t know how much of each ingredient is included. These brands want you to think they are hiding their “powerful” blend from competitors. What they are really doing is hiding under dosed ingredients from you. The problem is that you don’t know what you are putting in your body when you buy a proprietary blend. While ingredients are still listed by weight, this doesn’t tell you how much of each is included in a serving. Considering all pre-workouts use similar ingredients with doses that are clinically proven to be effective, this is nothing more than a scam. There’s no doubt that a high-quality pre workout can increase your strength, endurance, focus and muscle growth before cardio or weight lifting. It’s also true that a pre-workout isn’t necessary to build a strong physique or hit your targets. If you work out consistently, push yourself and eat the right diet, you’ll make progress. If you’re doing all those things and not progressing as fast as you would like, however, a pre-workout can make all the difference. It’s vital to choose the right product though. Low-quality pre-workouts are effectively just caffeine powder – but considerably more expensive. Many products are also under dosed so you won’t get the full benefit of each ingredient. That’s why we’ve put together a list of the best pre-workouts on the market. Each of these can provide a dramatic boost to your workout performance while helping you build a lean and strong body.